MyFootball Evaluation #1 Evaluating High School Football Players! *Do YOU have a proper skill set highlight video that is ready to be viewed by a college coach? 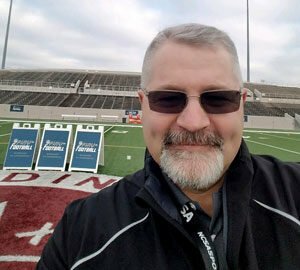 *Do YOU know how to arrange the best clips to keep a college coach engaged and connected to your video? *A properly edited recruiting video will provide a definite competitive edge vs. every other college prospect that does not have their video edited properly. College coaches turn off more video because of poor editing! *Partnering with MyFootball Evaluation & Next Level Mixtapes will provide you with game highlights that showcase your talent and athleticism. Very important because college coaches are driven by time and not enough of it! We will edit your video and prepare your BEST skill set video highlights demonstrating a snapshot to a college coach as to how your talent will transfer to the college game. 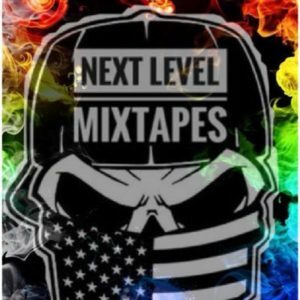 *Next Level Mixtapes & the MyFootball Evaluation Team! *We have developed our “MFE-Index metric level of play rating system allowing us to project an athlete’s best fit target level utilizing our exclusive “Level of Play Rating System” done by college coaches for college coaches! * We project an athlete’s level of play, rating them from a developing athlete, to a Power-5 athlete, projecting level of play and best target-fit programs. 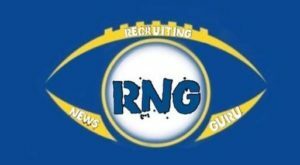 Do You Know What A Recruiting Skill Set Highlight Video Is? *College coaches will evaluate an athlete’s position specific skill set and how that skill set transfers to the college game. *College coaches will evaluate specifics of each position including knee bend, leverage, hip flexibility. *College coaches will evaluate playing speed, linear speed, change of direction ability. *College coaches will evaluate physicality, aggressive play, edgy play, etc. *College coaches will evaluate effort, away from the play effort, downfield effort, 2nd level effort, finishing effort, etc. *College coaches will not evaluate a video when it is too long! Over 3-4 minutes is the limit by most standards. *College coaches will not evaluate a video that is not clear as to who is being evaluated, jersey #, position, identified at the beginning of the play. *College coaches will not evaluate the music, still shots, stats, etc. you include in your highlight. That is a video for family, friends, etc. not a Recruiting Skill Set Video! *Important to note that for a college coach to continue to watch your video, you MUST engage early with a few “wow” plays tailored to your position and skill set. We see athletes everyday with the athletic ability to transfer their skills to the college game! We also see many very talented athletes with a highlight video that will not get them recruited! Contact MyFootball Evaluation! WE can HELP! MyFootball Evaluation and our team of coaches with 100+ years of college coaching, recruiting, and professional playing experience will spend countless hours evaluating athlete’s and projecting level of play. Hudl enlisted the help of Ryan Gunderson, Quarterbacks Coach/Passing Game Coordinator, San Jose State University, to learn how coaches watch highlight videos and what to avoid in the video-making process. The former Oregon State quarterback shed some light on things that coaches look for – and what they don’t want to see. Gunderson emphasized the importance of brevity. A coach’s time is one of the most valuable assets, and a coaching staff doesn’t have the patience to view 10 minutes worth of highlights for every player. A recruit has precious seconds to snare a coach’s attention before he moves on. Coaches rarely make it to the end of even the most impressive highlight videos. Gunderson said coaches will typically watch a good video for two to three minutes, then turn to game tape to see if the athlete is consistently dominant or just has a few explosive plays. Gunderson recommended keeping a highlight video to five minutes adding that elite prospects need little time to prove their worth. Athletes should use a host of different types of plays to put their full array of skills on video. It’s a mistake to include only plays that highlight one part of a player’s game. For instance, showing a series of 50-yard runs when a running back bounced to the perimeter shows off his speed. But to give a coach a full understanding of his skills, the back would be advised to include plays that show him breaking tackles, juking safeties, and catching passes. Many athletes use background music to enhance their video or ramp up the excitement. For the most part, Gunderson said, that’s fine. Hudl allows users to create a unique highlight experience designed to wow friends and family. Just don’t expect it to get coaches too hyped up. Gunderson typically watches highlight videos on mute, so music doesn’t affect him one way or the other. But he has seen instances where a recruit includes a track with vulgar lyrics, a move that causes coaches to question his judgment. ***Don’t interrupt a play to spotlight yourself. If you do use a spotlight, do it before the play begins. Pausing mid-play chops up the video and makes it tough to judge fluidity and athleticism. ***If you play both sides of the ball, feel free to share clips from multiple positions. For example, if a linebacker prospect also plays running back, Gunderson recommended including some highlights on offense. Those clips can showcase athleticism and catch a coach’s eye. ***Have a highlight video constructed before your senior season. But if you aren’t getting the offers you want, Gunderson recommended making another video from the first three or four games of your final year to try and generate new interest. Your highlight is often a coach’s first exposure to you as an athlete and can play a critical role in the recruiting process. Now that you know what coaches are looking for, it’s time to get started on your video. World Class quality videos at the lowest price. Guaranteed. Josh Ranc Owner of @NextLevelMix. Sports Management and Marketing Double Major. Athlete. 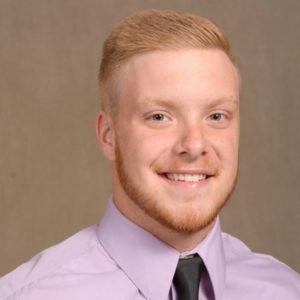 Strong Safety for Baldwin Wallace University. Army ROTC. Coach Anzevino discussing our video editing!